Dr. Jürgen Hambrecht was born in Reutlingen in 1946. He completed his chemistry studies at the University of Tübingen with a doctorate in organic chemistry in 1975. For more than 35 years, Jürgen Hambrecht accomplished various assignments worldwide for BASF – from 1997 on as a member of the Executive Board and most recently as Chairman of the Executive Board from 2003 until his retirement in May 2011. 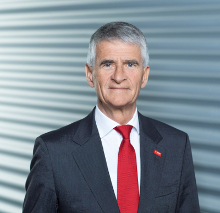 In addition to his chair at the Supervisory Board of FUCHS PETROLUB SE, Jürgen Hambrecht is member of the Supervisory Boards of Daimler AG as well as Chairman of the Supervisory Board at BASF SE and TRUMPF GmbH + Co. KG. 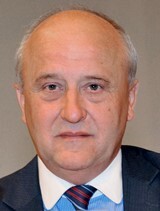 Dr. Erhard Schipporeit, born in 1949 in Bitterfeld, is married and has three children. He graduated from the University of Göttingen with a Ph.D. in Business Administration in 1979. 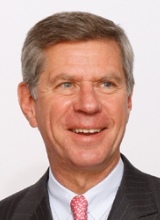 For more than 16 years, Erhard Schipporeit was a member of the Executive Boards of VARTA Batterie AG, VARTA AG, VIAG AG and E.ON SE – from 2000 until 2006 as member of the Executive Board and Chief Financial Officer of E.ON SE. In addition to his Supervisory Board mandate for FUCHS PETROLUB SE, Erhard Schipporeit is a member of the Supervisory Boards of BDO AG Wirtschaftsprüfungsgesellschaft, Hannover Rück SE, HDI Haftpflichtverband der Deutschen Industrie V.a.G., Innogy SE, RWE AG, SAP SE and Talanx AG. Susanne Fuchs was born in Mannheim in 1964. From 1983 to 1988 she studied veterinary medicine at Justus Liebig University in Giessen, and earned her doctorate there in 1992. From 2013 to 2016 Susanne Fuchs studied business administration at the Open University in England and completed this with the MBA. Susanne Fuchs has international experience from having spent several years in England. As a third-generation member of the Fuchs family, which holds the majority in the share capital of FUCHS PETROLUB SE through an asset management company, she is a highly involved member of the family business. At the FUCHS PETROLUB Annual General Meeting which was held on May 5th, 2017 she was elected to the Supervisory Board and its committees. In addition to an Advisory Board function, Susanne Fuchs is engaged in voluntary work and has been in Germany and England over the last 20 year. After finishing her studies in business administration in Münster and Munich, Ingeborg Neumann worked at the international accounting firm Arthur Andersen for 12 years, in her last positions as auditor and partner. Since the foundation of Peppermint Holding GmbH in 1997, she has been an entrepreneur and from 2002 on the owner of this medium-sized industrial group headquartered in Berlin. The Peppermint companies produce high quality and innovative textiles for fashion industry, as well as technical and home textiles. In addition, Peppermint supports and invests in recently established technology companies in the life sciences / medical equipment area. 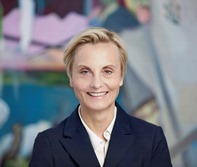 Ingeborg Neumann serves on several supervisory boards, e.g. : Vice President and Treasurer - Bundesverband der Deutschen Industrie (BDI, Federation of German Industries), President – Gesamtverband textile+mode (Confederation of the German Textile and Fashion Industry), Member of the Supervisory Board – Berliner Wasserbetriebe and Scienion AG, Berlin. Horst Münkel, born in 1956 in Mannheim, is married and has two children. Since 1974, he has been working at the Mannheim plant of FUCHS SCHMIERSTOFFE GMBH, first as a chemical assistant, and since 2003 as a chemical industry foreman. 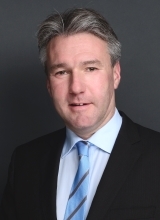 In addition to his Chair in the Group Works Council, he is Deputy Chairman of the Works Council of FUCHS SCHMIERSTOFFE GMBH and Member of the SE Works Council at FUCHS PETROLUB SE. Since 1975 he has been a member of the IG BCE (German Mining, Chemical and Energy Workers' Union) and since 2009 Employee Representative on the Supervisory Board of FUCHS PETROLUB SE. Current position or full-time activity: Vice President Operations, FUCHS LUBRICANTS CO.
Lars-Eric Reinert, born in 1969 in Kiel, is married and has two children. He has worked for FUCHS since 1991, first as a fitter then as a metal industry foreman. In 2012 he was promoted to Head of the technical departments of the grease plant of FUCHS SCHMIERSTOFFE GMBH (formerly DEA). Since 2017 he has been working as Director of Operations for FUCHS in Harvey, USA. Since 1987 he has been a member of the IG BCE (German Mining, Chemical and Energy Workers' Union) and since 2008 Employee Representative on the Supervisory Board of FUCHS PETROLUB SE. The Supervisory Board at FUCHS PETROLUB SE has formed three professionally qualified committees, which prepare and also supplement its work. The duties, responsibilities and work processes are all aligned with the requirements of the Corporate Governance Code and also take into account the binding regulations of the German Stock Corporation Act (AktG). The Personnel Committee supports the Supervisory Board in reaching personnel decisions. The Personnel Committee was made up of Dr. Jürgen Hambrecht (Chairman of the Committee), Dr. Susanne Fuchs and Dr. Erhard Schipporeit . The Audit Committee has the task of monitoring both the accounting process and the quality and independence of the audit, issuing the audit engagement for the auditor, determining the focuses of the audit and agreeing the fee for the audit, as well as monitoring the effectiveness of the financial accounting-based Internal Control System (ICS), of the risk management system, of the internal audit department and of the compliance measures. It is also responsible for preparing meetings and resolutions of the Supervisory Board dealing with these issues and questions. The Audit Committee was made up of Dr. Erhard Schipporeit (Chairman of the Committee), Dr. Susanne Fuchs and Ms. Ingeborg Neumann. Dr. Erhard Schipporeit and Ms. Ingeborg Neumann are independent financial experts, who have acquired special knowledge in the application of financial accounting principles, internal control procedures and audits in the light of their professional experience. The Nomination Committee is made up solely of shareholder representatives in line with the Corporate Governance Code. The Nomination Committee was made up of Dr. Jürgen Hambrecht (Chairman of the Committee), Dr. Susanne Fuchs, Ms. Ingeborg Neumann and Dr. Erhard Schipporeit. The Personnel Committee and Audit Committee meet several times a year, while the Nomination Committee only convenes for meetings when these are necessary based on its allocation of duties. The respective Chairmen of the Committees regularly report to the Supervisory Board on the work of the Committees.